The Brecon Beacons is a mountain range in the South of Wales. 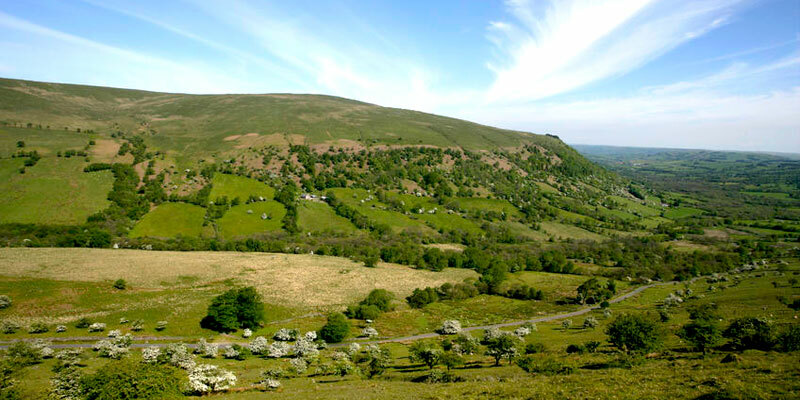 The mountains are located in The Brecon Beacons National Park. The highest mountain in this mountain range is Pen Y Fan (886m). The majority of the land is made up of moorland with some forestry and pasture in the valleys. The area is ideal for walking, mountain climbing and horse riding but the mountains are known for swift changes in weather conditions, even in summer and in winter they can be dangerous. With its rivers and reservoirs activities such as sailing, wind surfing and fishing area available in the area. The Brecon Beacons Mountain centre is open to enable visitors and tourists to interpret the area.